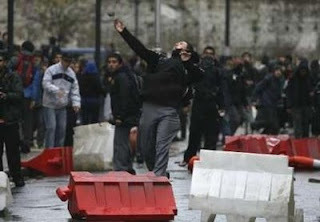 Santiago, Chile - A student protest movement against government education reform has taken control of nine high schools and three colleges in the capital Santiago. Students have been protesting for weeks and holding frequent and sometimes violent rallies against what they see as inadequate reform to the country's education system. The nation's education policies were formed under the military dictatorship of Augusto Pinochet. More than 130 demonstrators were arrested on Monday alone.